This year Coachford National School is working towards its fifth Green Flag. All the children have been very busy all year working on creating our new school garden 'Tír Draíochta'. Joanne Crowley, past pupil of our school, visited the school and very kindly gave of her time and expertise in planting flowers with all the classes. Junior and Senior Infants made 'seeds bombs' to scatter in our garden. 1st and 2nd class made a 'bug hotel'. 3rd and 4th class made green houses and 5th and 6th class had great fun planting flowers in old jeans. There has also been great care taken with watering and weeding our new garden since its development. Jessica Mason, environmental scientist from the Heritage Council of Ireland, delivered workshops to the children of all classes exploring our school environment for evidence of biodiversity at work. Jessica demonstrated how plants, animals and bugs in our immediate environment and beyond are all interconnected and rely on each other for survival. She spoke to the children about the importance of maintaining and encouraging a balance between nature and animals in our own gardens and communities. One of our parents, Dr Simon Harrison, scientist and lecturer in UCC, visited our school to deliver a very informative, fun and interactive talk and demonstration to the children on Biodiversity. They initially set bug traps around the school grounds to collect bugs from our immediate environment and then studied the insects they collected. Dr Harrison also spoke to the children about biodiversity at work in our world. This year Coachford National School is working towards our fourth Green Flag. 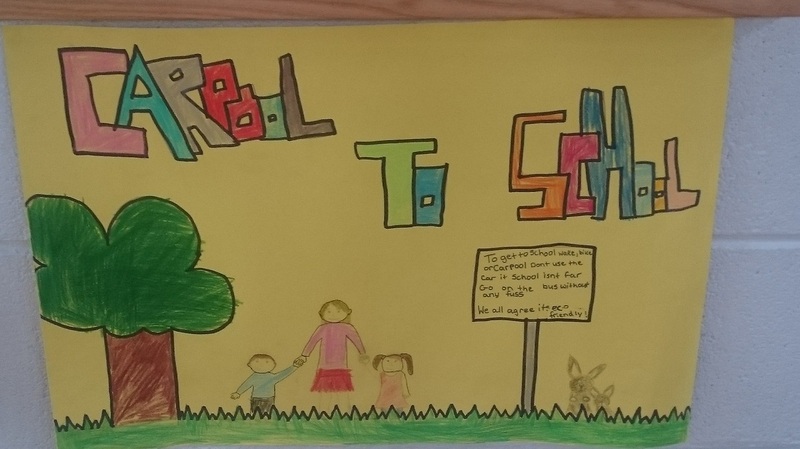 The Aim of this flag is to promote and increase the amount of pupils walking, cycling, park 'n' stride, carpooling or using public transport,which will ease congestion by reducing the amount of private cars arriving at the school gate. It will also lessen the overall impact on the environment by reducing emissions and pollution.The journey to school is an ideal way for children to take part in regular physical activity, to interact with their peers and to develop the roa﻿d sense children need as pedestrians and cyclists. walk , bike or carpool. We all agree it's eco friendly!! On the 20th March we had our Green School Action Day. Because we are trying to get our travel flag, the committee decided it would be a good idea to have a big walk to school that morning. Everybody wore green and we had balloons and banners to kick off our action day in style! Our Green School officer Caroline Murphy came along for the walk too and did some travel games and activities with all the classes. We also had Garda Orla Doyle come in to talk to the children about road safety. This was very enjoyable. All the classes also chose a subject area in which to do a travel based lesson. Our Action Day was a big success and all the children really got involved and enjoyed it. A massive THANK YOU to all the parents who helped out on the day. It is great to see the school community come together to support this initiative. We recently took part in the Big Travel Challenge 2015. This is a challenge set up by Green Schools in which schools who are working towards achieving their travel green flag can focus on a better way of traveling to school besides going in the car for a 15 day period. 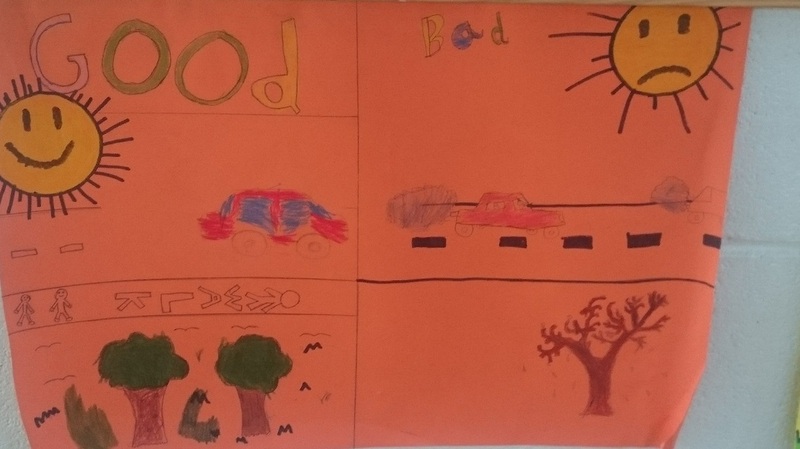 We decided to focus on promoting and improving the level of carpooling in our school. 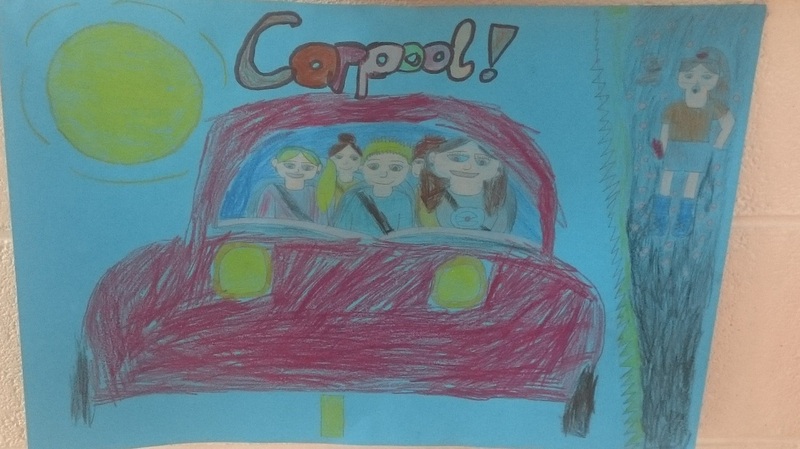 The children on the Green School committee worked really hard in promoting this by making posters and speaking to their fellow classmates about the benefits of carpooling. The children also took a daily tally to see how many were carpooling in each class. Well done to everyone who tried their best to carpool to or from school for the month of February!!! !